Facebook, Twitter, LinkedIn, etc. are really helpful and sources of traffic for most businesses today. However, there is one forgotten platform that can drive MASSIVE organic traffic to any business site and that is – Pinterest. Surprisingly, Pinterest drives more traffic to websites and blogs than Facebook, Twitter and Google+ combined. It can be the greatest asset to any business. However, it is still, the most underrated platform out there. So, how Pinterest works and how you can drive traffic to your site? Pinterest is a search engine just like Google and YouTube, but it works differently. It is considered to be one of the leading resources for driving traffic. If you are not using it and creating content for your business, you are missing out a huge slice of SEO pie. Pinterest is used by people to discover and save new ideas. These ideas could be anything and can be represented by a “Pin” which include a short description, image and a backlink to the image source. When a user clicks on the pin’s URL, they find more ideas and thus, act on it. People are free to add anything they like from any website by using browser extensions and then save button. Once a user adds a Pin, another person/s can see that Pin in their search results as well as in their home feed. Businesses are also free to create their pins to highlight their products, increase sales and build brand awareness. With thousands of people pinning on the board, it becomes a cluster of ideas. So, board helps to organize the pins by interests, seasonal topic or category. Today, Pinterest is one of the fastest growing platforms used for sharing online content. Getting successful on Pinterest needs tactics, strategic actions as well as consistency. If you are just using Pinterest to find information, using it is pretty simple. Visit the site and create boards of your interest. But if you are marketer or blogger, the story will be different. You will have to look for the best ways to increase followers to get traffic to your blog or website. In the U.S, Pinterest is the most popular platform among moms and baby boomers. Therefore, many businesses are targeting this platform as the most important one for their advertising. 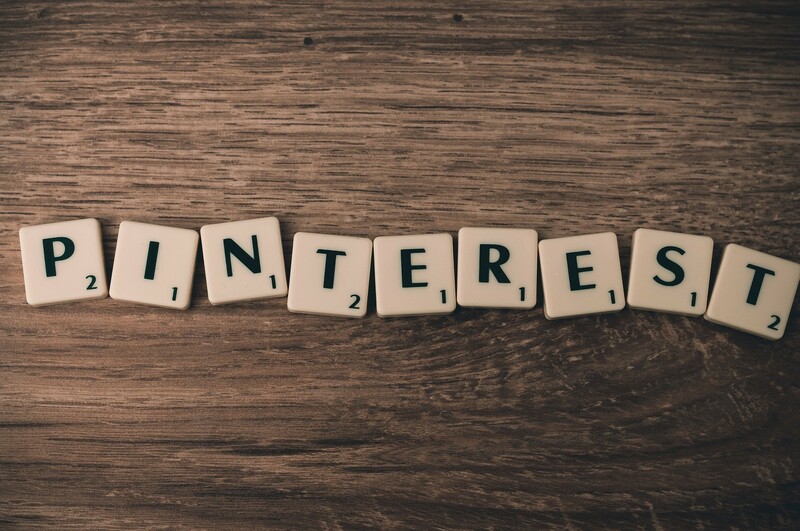 So, before knowing the secrets of get the massive traffic to your site or blog, it is important to know what types of Pinterest’s ads can attract visitors. This is a regular pin that simply pays to promote so people will see it. This advertising format of Pinterest contains a video. This pin appears in search results, news feeds and more like this section. This pin takes pinners directly to the source. So, when they tap on Pin, they can get a close detail and information. Moreover, it also takes users directly to the site where they can learn or buy the product directly. These pins come with an app icon and an install button within the advertisement. It allows pinners to install the app without leaving Pinterest. These pins involve motion, just like promoted video pins. They are quite alike Cinema Pins but only move when the user scrolls them. Pinterest is a leading online platform that comes with inbuilt structure in the boards’ form that helps people organize their ideas. The new accounts come with pre-names boards that users can easily edit. If you can’t see any appealing category, you are free to create a board from scratch. Now here the question is – how to drive traffic to your website and blog with Pinterest? -You may get several answers to this question on the World Wide Web, but here I am going to share SECRETS on how to attract visitors to your site. Now let’s break these three secrets into smaller steps. Let’s be honest, everyone wants genuine followers in your Pinterest account. Right? Remember, the Pinterest following is different from the following of Facebook, Twitter or any other social media platform. Here, new followers mean more people who will see your pins in their feed. If more people see your pins, they are more likely to click on them and thus drives traffic to your website. There are 4 ways to grow the visibility of your blog or site with the help of Pinterest. Now, people will only click when they find something clickable. So, here the next step is making them click on the site. For that, you can try the following strategies. If you want to promote your blog or site, join a few highly active Group Boards. You can find several groups devoted to Pinterest Collaborative boards, and if you can’t, then use Pingroupie. Make sure the Group Boards you use are updated frequently and receiving regular pins and likes. Remember, it’s not about pinning blindly because an image is beautiful, but when you pin it, make sure it directs you to some reliable source. Pinterest can be an amazing platform to drive traffic to both product and content pages. Remember, Pinterest is not only about beautiful photos, but it can be a total GAME CHANGER for your business.